India has signed a $5 billion deal with Russia to buy S-400 air-defense, despite US pressure. Earlier, the US had asked India to stop dealing with Russia. 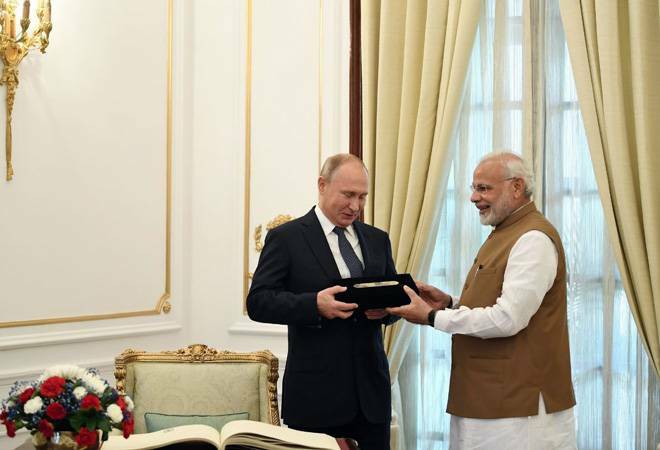 Russian President Vladimir Putin and Indian Prime Minister Narendra Modi signed the agreement on New Delhi’s capital New Delhi last day. Both the leaders also talked about cooperation in economics, nuclear energy and space research. Other agreements between Russia and India include more than 20 fields, including fertilizer, railways and space programs. According to the media, this deal has been done despite the US warning, according to which the Washington government can ban sanctions on countries dealing with defense and intelligence from Russia. India has requested the United States that it should be allowed to ban US sanctions in terms of defense contracts from Russia. These US sanctions on Russia have been criticized by the Criminal Alliance in Crimea and the Russian presidential intervention in the 2016 American election. Last month, the United States had imposed restrictions on China, when the Beijing government purchased a war plan from Russia and the S-400-style missile system. Russia and US relations have been straining since the Cold War period. Since the Western countries have blamed Russia for global cyber attacks, these relations have worsened further. However, experts say the US will now have a deal with the loss of any diplomatic frontier with India. The US is also among the largest countries providing weapons to India. During the last decade, India has made a defense agreement worth $ 15 billion worth of US dollars. New Delhi hopes America will not spoil its relations with India as one of the biggest buyers in the world. Washington and New Delhi have announced joint military exercises for the last month in 2019 and expressed satisfaction on the exchange of military information of sensitive nature. It is clear that the United States had warned India this week that it should refrain from buying a S-400-style air defense missile system from Russia.